You will not believe the vast selection of poles that are available! 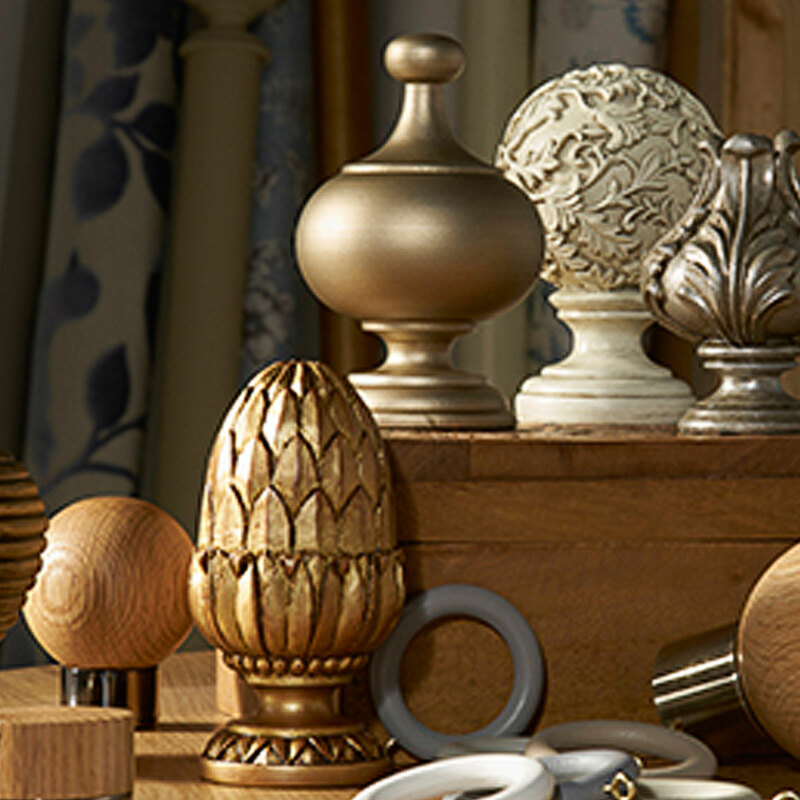 Differing dimensions, materials, style, finish, finials, and components….. You can really make a statement with the finials that have glittery studs or a minimal look with small or no finials! Poles in metal and wood can be sold as kits, this will give you everything you need to hang a curtain, or they can be mix and matched, to give you more flexibility and an individual look. The length and dimension of the pole, as well as being aesthetic needs to be functional. Lucy, with her specialist knowledge can recommend stunning poles to suit your budget, advising on the ideal solution for each window – bay, bi fold doors, ceiling fix etc. Tassels – A comprehensive collection of qualities and colour to add to curtaining and roman blinds to add the personal, final touch. 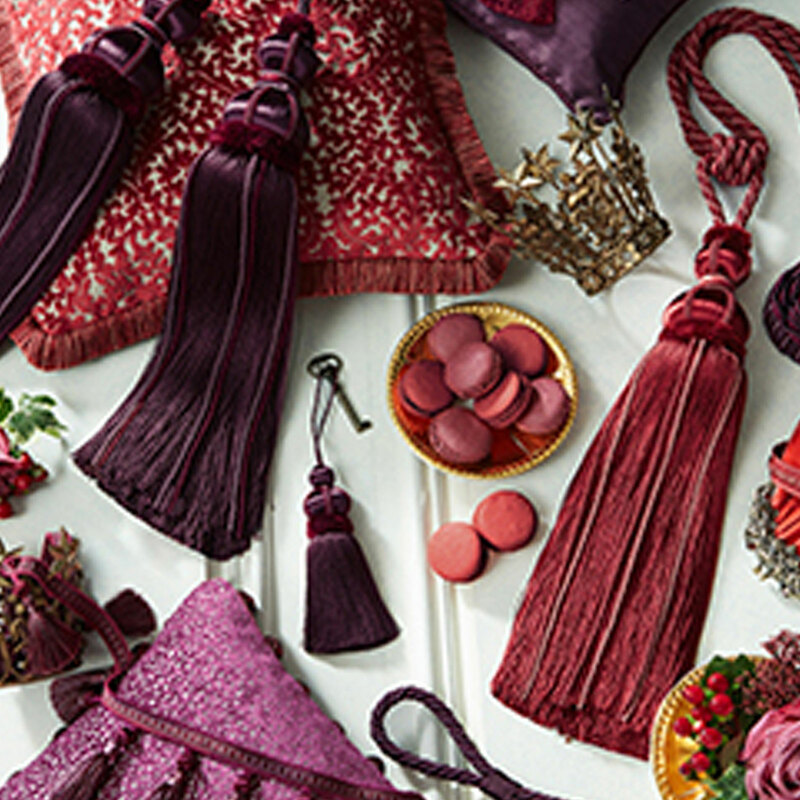 Tiebacks – The final detail for your sumptuous new curtains. Beautiful tiebacks – traditional to contemporary . Lucy can order sampling to select from once the curtains have been decided. There are various operating systems available and from supplier to supplier these can differ. Hand drawn, corded and motorised are available in many colour and finishes. 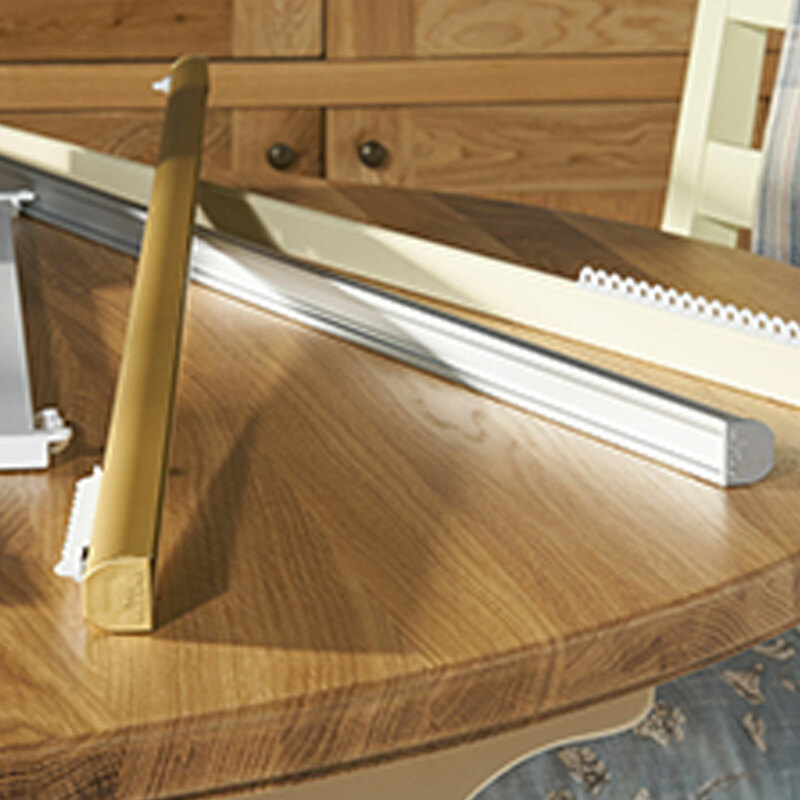 Lucy can find a solution for every space with a curtain track, as they are extremely discreet.